Making SRM the sole concern of Procurement and a lack of support from the top of the organisation are two of the main reasons why programmes often fail, David Atkinson has said in a Find the Edge article published today. The problem is that SRM becomes associated with Procurement and is not recognised as an integrated business-wide competence. Failing to make supplier relationship management a company-wide pursuit is one of the key reasons that many programmes fail, David Atkinson has said in a new Find the Edge article. He uses his post on the site to explain five of the most common mistakes companies make when they're dealing with their suppliers. Atkinson said: “The problem is that SRM becomes associated with Procurement and is not recognised as an integrated business-wide competence. “There is a strong case for supplier relationships being managed by non-procurement budget holders in other business functions, particularly where indirect services are concerned. Among other reasons, Atkinson, also says the lack of an SRM process - a framework with tools and templates – and an over-valuing of the supplier ‘relationship’ are common problems that can derail a SRM programme. He also discusses the need for senior figures to display clear support for the programme. He said: “Once we find that senior executives continue to meet with suppliers without consulting their SRM leaders within the business, we find that the process, even the whole programme, can begin to unravel. The article can be viewed in full here: http://www.findtheedge.co.uk/product-service/procurement-supply-chain/are-these-the-five-reasons-why-your-srm-programme-is-failing. David Atkinson is managing director of Four Pillars, a management consulting and training company with a focus on business transformation, procurement, sales and negotiation skills. 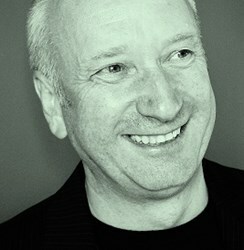 More about him can be read here: http://www.findtheedge.co.uk/expert-panelist/david-atkinson. Kenny Goodman, founder of Find the Edge, said: “This article clearly identifies five of the most common stumbling blocks that can cause SRM programmes to fail. Find the Edge is a business website that features content from across the business spectrum. The site will be expanding from UK only this week, and will be catering for a global audience.